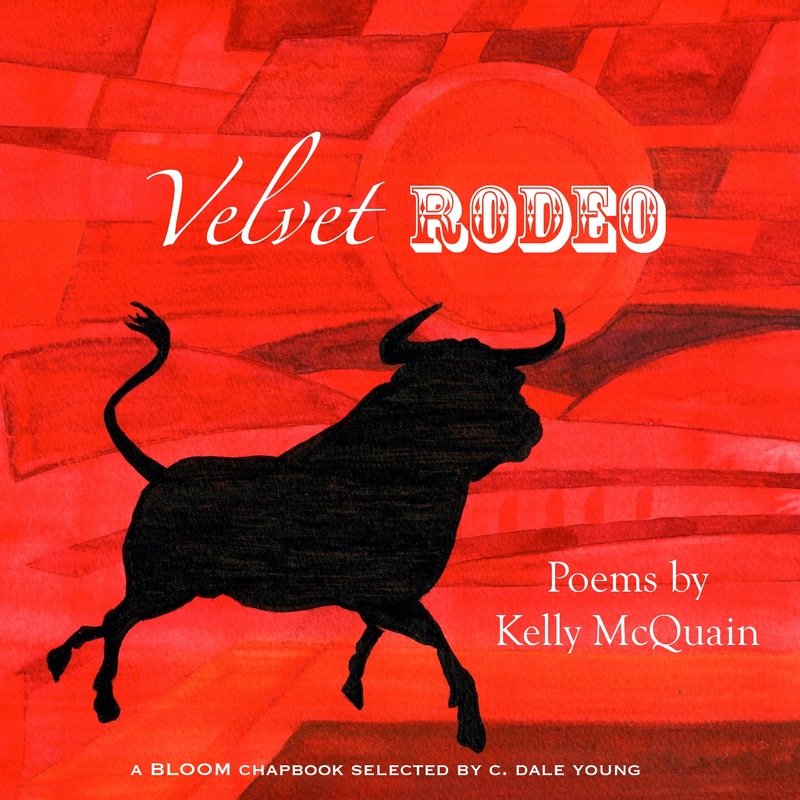 Many of Velvet Rodeo’s poems reach out to the poet’s past, and in particular his childhood. “Creation Myth,” a moving, lovely poem, first builds up a picture of the poet’s father, the frustrated would-be artist who moves back to “the family farm in West Virginia,” to “McQuain road.” The poet, looking back, remains unsure to what extent his father kept dreaming, kept picturing New York; the poet questions, too, how much his mother entertained grander, philosophical questions, or whether she simply accepted “what was / and what wasn’t allowed.” The poem builds to a brilliantly comic line, when the child-McQuain, having won the chance to read his early poems, a selection of his “juvenile crap,” in the state capital, realises during the “four-hour drive” that he has left those poems behind, on the kitchen table. Jesus Christ, Dad said when I told him. And yet, like “Creation Myth,” the poem also refuses to fully stand behind this moment, to accord it complete seriousness. It is not, these poems seem to say, as though an epiphany solves or answers anything. It is not as if the life of art which follows that choice ever reaches a calm and easy state, a steady certainty. Probably my favourite poem of the collection, “Rain in Old Movies,” makes that very working through of past and present its explicit subject. In this poem, which describes the youthful summer when “a wet-eared country mouse” arrived in Philadelphia to study painting, “when desire was an uncanny lunar succulent,” McQuain moves between then-time and now-time, contrasting the ambivalence of the hour with the ambivalence of memory. The poem showcases McQuain’s technical expertise, his skill with the poetic line enabling him to abruptly switch focus and mood, to create moments of useful ambiguity, the reader’s eye unsure whether to place at the break of “left you grinning, wanting more / such memories, full color, fade” or whether to assign “such memories” to both its neighbours, simultaneously. The collection was a little less clear, however, with the poems describing the poet’s present. To put it simply, the present day self that we meet in Velvet Rodeo is much less active than his childhood double, sitting down in a bar, or at a train station, listening while others talk, for a good few poems. The more active “Lent” does sees him walking, but in silence. Personally, I liked “Lent” a lot, the evocative of seasons turning in quiet Philadelphia, but I was less fond of a bar-side poem like “The Absinthe Drinker.” In that poem, in which the poet watches a wealthy American kid embarrass himself in a Prague bar, I felt like I was being invited to an ambivalence I did not know how to share: on the one hand, the poet’s disdain for the pompous tourist is clear, but the hints of a shared lost-ness, “two of us / both flotsam” seemed too faintly drawn for me to catch hold of, to bring close. I felt as though the collection had not quite worked out how to present this older, closer-to-now life. I could sense that presentation building, developing, however, and I was startled, on multiple readings of Velvet Rodeo, by how quickly the book ends. I don’t want to say something trite, to demand a few poems that neatly tie up the gulf between innocence and experience. But I didn’t feel the collection was quite ready to end, and its final poem, “Mechanical Bull,” seems written in a quite different register to what has come before, as much the start of another book as the culmination of this one. “Mechanical Bull” seems a presentation of an eternal present, a picture of a man not as he sees himself on a particular day but as he believes himself to perpetually be. With a powerfully carnivalesque feel and a wide cast of supporting characters–strange dictionary words and “drag queens on the sidelines,” the poem is playful, erudite, cocky. It seems to claim a great freedom, and I was left wishing to read more in that joyful vein. “How are we reformed,” asks the poet, “and into whom?” I finished reading Velvet Rodeo with the hope of hearing more answers to that question. Next Next post: Writing Prompt Friday, Science Fiction Edition, and Hands On Festival Deadlines!